After a three hours or so road trip from Seoul, we pulled up at Boseong Green Tea Plantation's (보성녹차밭 대한다원) parking lot around 9.30am. The place was quite. Nobody was in sight. Hannah, Noah, and I made our way to the plantation. What I remember the most about that morning was the cool breezy morning air, warm sunlight, and birds chirping. Being able to clearly hear the sounds of nature is just something that you can only experience outside the hustle bustle of the city. And that morning was exactly that, a peaceful morning listening to the sounds of nature. 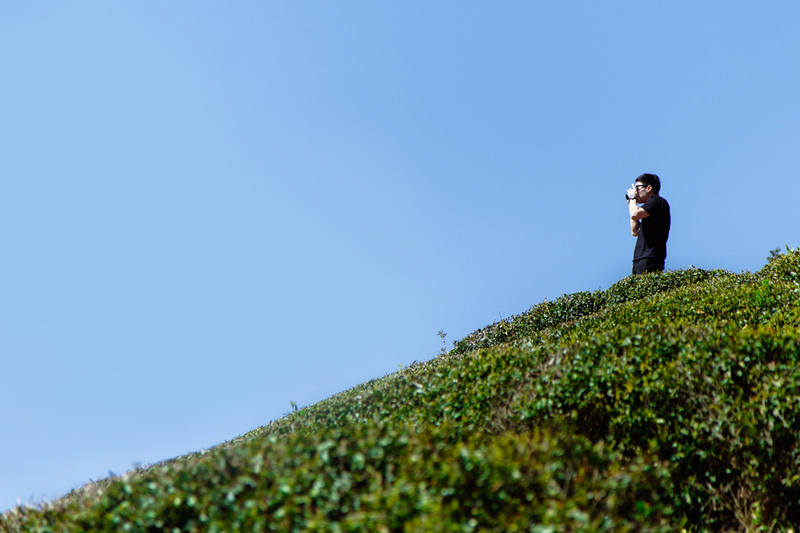 Noah bought warm cups of tea for three of us and we slowly made our way up the hill while talking amongst each other. I remembered we were talking about how the air is really different here. Fresher. 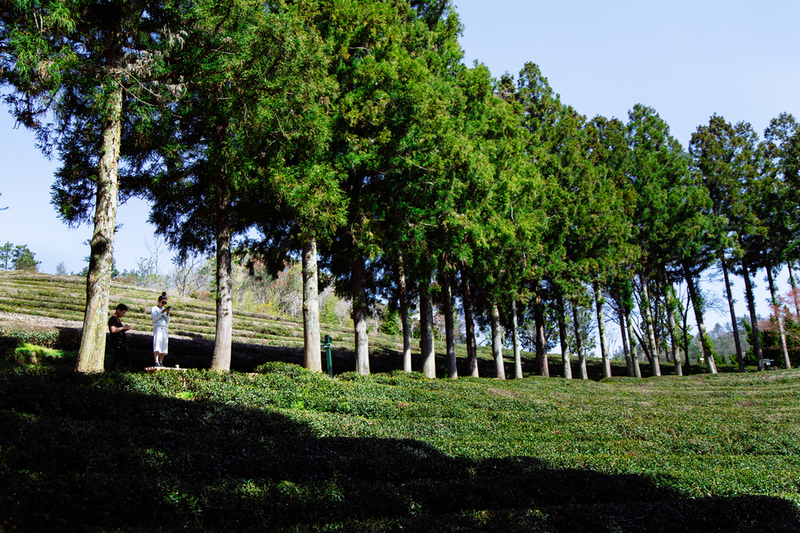 And we were a little bit disappointed because in some parts of the plantation, the tea leaves weren't in full bloom yet, so the field wasn't all green and there were bald spots here and there. Even so, the view was still nice. We spent some of our time just in silence, taking in our surroundings while snapping away with our phones and cameras. When we got to the top of the hill, we sat on the benches to enjoy the view and to catch our breaths. We stayed there for a while. Just talking and enjoying each other's company. When a big group of people came up to the resting area and we saw other people were starting to make their way up, we decided it's time for us to go and that was the end our peaceful morning. 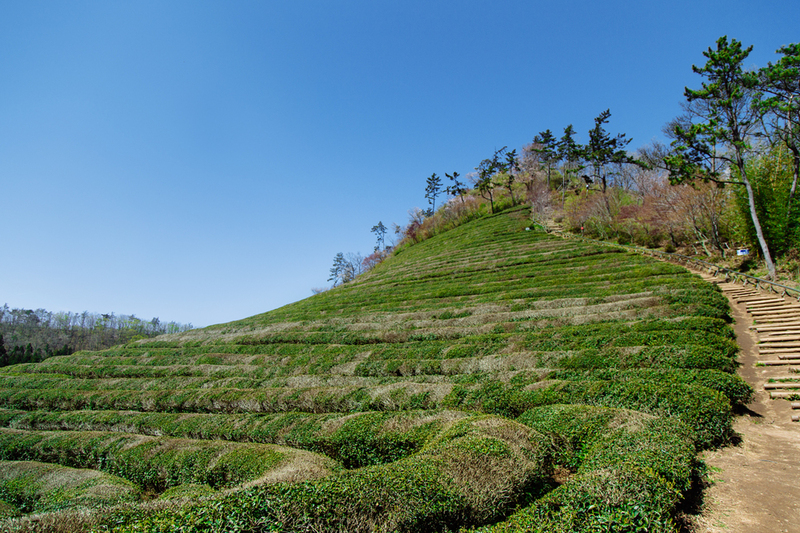 p.s: May is the month you want to go visit the plantation to see the full bloom of the tea leaves. 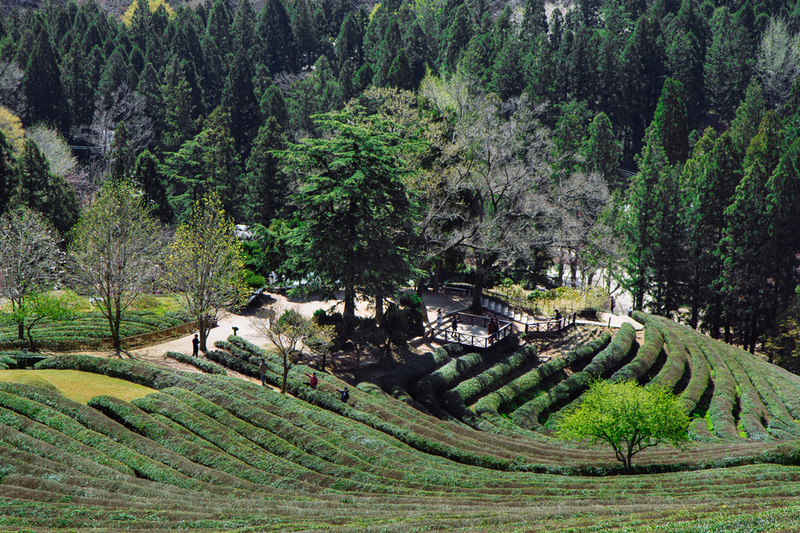 They also have Green Tea Festival during that time of year.